Last October 8th we had the chance to share with our community some of the projects and advances made by our community during the 2nd Open Source Hardware Encounter, held in San Salvador, El Salvador. Our first event was organized by our promoter team in 2013, which gave way to the development of the community and its affiliation as an OSHWA Branch since February 2016. Since its beginning, the community has grown and participates mostly through local events organized in El Salvador, and social media. The event took place at the Francisco Gavidia University in San Salvador and brought local designers and enthusiasts. We also had the great pleasure of inviting the members of Southmade, the Open Hardware Community in Ecuador as part of the exchange that we have generated as the first international branches of the Open Hardware Association in the region. 08:30am – Open Source Hardware Community Updates. Lito Ibarra, ICANN Board. 08:45 – Hackerspace San Salvador. Mario Gómez, Hackerspace San Salvador Founder. 09:15 – High Level Synthesis for Rapid Prototyping. Carlos Bran, Don Bosco University. 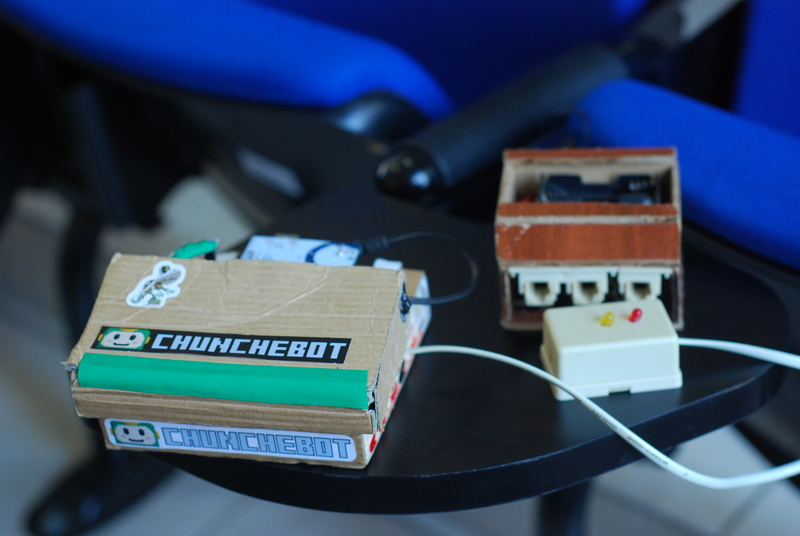 11:15 – “ChuncheBot” – The experience of the Ministry of Education with OSHW. Davíd Calderón, MINED El Salvador. 2:00pm – OSHW #DocumentationDay Workshop with Git. Joksan Alvarado, OSHWA Branch El Salvador. 3:30 – Case design with Sketch-up & 3D printing. Kako Valladares, Fab Lab El Salvador. We’ll post talks of the event on our YouTube channel soon! I believe in technology and culture that respect user freedom. I believe in what OSHWA is doing to advance these values, and that I could contribute a board member. As a board member, I would work to both execute current projects (e.g. OH Summit, certification) and also bring new ideas to help improve and grow OSHWA. First, I believe there is room to expand OSHWA’s use of Free and Open Source tools in its operations as an organization. I feel I could most effectively advocate and implement this on the board, by both contributing and helping channel organizational and community resources to get it done. I personally use GNU/Linux and Free Software and would enjoy expanding the use of these tools by OSHWA. I believe there is an opportunity to expand the resources OSHWA makes available to corporate members to help them grow their companies. For example, I recently started participating in the Open Source Design community and see great opportunities to share knowledge from groups like this and offer their expertise to OSHWA corporate members. Finally, there a growing number of hardware companies being started thanks to 3D printing, however they are unfamiliar with Open Source Hardware. My work in the 3D printing industry and position on the board would help me advocate Open Hardware to those companies and (hopefully) increase their participation in the new OSHWA certification program. It would be a privilege to join the OSHWA board. Thank you for your consideration! I am firmly committed to Open Source Hardware, Free Software, and Libre Innovation. I would bring this perspective to the board, continuing the progress OSHWA has made since its founding. I also believe my professional and educational experience are qualifications that make me a good fit for the board. Professionally, I have demonstrated my commitment to Open Source Hardware during my nearly three years at Aleph Objects, Inc., a Free Software, Libre Innovation, and Open Source Hardware company and maker of the LulzBot line of desktop 3D printers. As Vice President of Marketing, I have had the privilege to help build the company as the 17th hire and first full time marketing hire, up to 140 employees (and growing!) today. I am about to complete a MBA from the University of Denver. This education and my past professional experience in management and ERP consulting enable me to bring business insights to both help run OSHWA as an organization and help understand the needs of its corporate members. Through my MBA, I have experience consulting with an organization that has a working board like OSHWA. I know how important it is for the board get things done to serve its members and grow the community. I recognize that joining the OSHWA board will mean work, and I welcome that. Overall, I encourage members to consider commitment to Open Source Hardware as the most important qualification for the board. While I do have this, there are many others in the community who share these values and I would be proud to support them on the board if I am not selected. To contribute towards making open hardware the de-facto way in the field of technology and thus cultivate the global development bringing together the best of many awesome technical developments that exist today. I believe we should collectively move towards transferring the success of open hardware for the maker movement into industry and everyday products we use. Open hardware is now in the position to significantly change they way we think about technology though four key topics: Open is Future-proof, enabling modification and upgrades of products, extending the lifespan of devices and making them more suitable for a larger number of users and empower them to be a part of the product more then from the passive user perspective. Open enables Collaborative-design, thus fundamentally shifting the manufacturer/user dynamics from one way communication to a joint effort to create the best solution. Open drives Fair-production on a significantly more fundamental level then simple transparency that is already becoming a norm, gaining trust of users though sharing the information and thus bear the collective responsibility of all technology users. Open means Total-ownership, contrasting a number of recent bad practices in industry where users are merely leasing the devices from the manufacturer cloaked under the normal sale and directly prohibiting the right to fix and modify for personal use. I wish to be on the board to drive the discussion on moving forward with open hardware outside the scope of maker movement and applying it to a larger number of products in our life. An artist engineer and an engineer artist, I am interested in exploring the space created between the intersection of art and technology. I use open source technology as a way of setting a critical lens on technological innovation. Through this I try to show how we interact with technology and also how we interact with each other. Being on the board will allow me to further explore these issues with the community at large. I also want to create an active community that uses technology as a medium for creative expressions and the arts. Being on the OSHWA will help me with this objective. In our current situation, we are faced with many problems that pertain to the environment, education, societal justice etc. and the only way to address these is through collaborative communities. These communities can only be effective if they have access to free and unabridged information. Any systems and processes that hinder such conditions are not only anti-humanity, but in my humble opinion should be confronted, criticized and defeated with all our fervor. My background in electrical engineering, art and business give me the skills to contribute to the sustainability of the open source hardware community. A big part of my practice is based around community engagement, especially around the tools that I build and use. If elected on the board, I will be able to leverage this to further advance the objectives of OHSWA. I believe technology to be a democratic tool. To enable this, I believe in creating reusable, modular, extensible, interoperable, and accessible technologies. Specifically, I believe in creating infrastructural technologies that can serve any (unintended) application. The Internet is a previous example of a successful infrastructure (providing a platform for applications such as the world wide web, email, or VOIP). Crucially, internet standards were open, free, and iteratively created by a community of practitioners. I believe Open Source Hardware can (and sometimes already does) fulfill similar infrastructural needs. Especially with excitement and progress around internet of things, self-driving cars, data-driven insights, robotics, or digital fabrication, I believe it is crucial to create, maintain, and improve free and open standards and to prevent walled gardens or silos of technology. Maker culture champions broader-base participation in technology, and I want to work on making sure that participation makes real lasting changes. I would like to serve on the board of the Open Hardware Association as I believe it to be an organisation uniquely focussed on developing, discussing, and disseminating open standards for technology. I have been actively developing open source hardware for the past decade. I develop open-source fabrication technology under the Machines that Make project, and develop open-source machine controls and software at MIT’s Center for Bits and Atoms. I have worked on many engineering teams including for aerospace, manufacturing, medical devices, and architectural applications. I have helped set up more than 50 Fablabs and makerspaces throughout the world, giving me ample experience with how many different kinds of people interact with many different kinds of technology. I am one of the organisers of the annual global Fablab conference and am familiar with event planning and fund raising. I am an advisor to the Fab Foundation (a non-profit that globally facilitates fab labs), a judge for Hackaday’s prize, and on the editorial board of HardwareX, Elsevier’s open access journal focussed on open hardware. I have spoken about hardware and manufacturing on many occasions including at the White House, Solidcon, HOPE, and Chaos Computer Club Congress. I have a PhD from MIT and am in a band called Construction. I see the open source hardware movement as a complete necessity for the future of the overall Free and Open Source movement. There are two key principles I’d like to ensure our community understands, 1) Open Hardware development is a key requirement to the success of the open source community 2) Open Hardware development is very likely where the best evolutionary methodology for the combination of best hardware and software will come about. I’d like to help connect the open hardware community with FOSS projects and ensure nothing stands in between the two. I’ve been working on the Linux kernel community for over 10 years now and have been in the trenches on dealing with companies addressing all regulatory concerns to support 802.11 drivers openly without firmware, and when firmware was required convinced companies to release firmware as open source. 802.11 was one of the last frontiers for getting proper support from vendors upstream on Linux, the experience gained in successfully addressing both legal challenges and Fear Uncertainty and Doubt in the industry over FOSS with wireless technologies should prove useful for helping the open hardware movement when faced with similar problems in the future with newer technologies. I have also previously worked for a large non-fab silicon company, and have seen the issues we face in the community with both a largely patent encumbered world, and the limitations this imposes in our ecosystem. I’d like to proactively help the open hardware movement by doing R&D in forecasting and addressing possible issues before they come up and connecting communities in the collaborative world as best as possible. 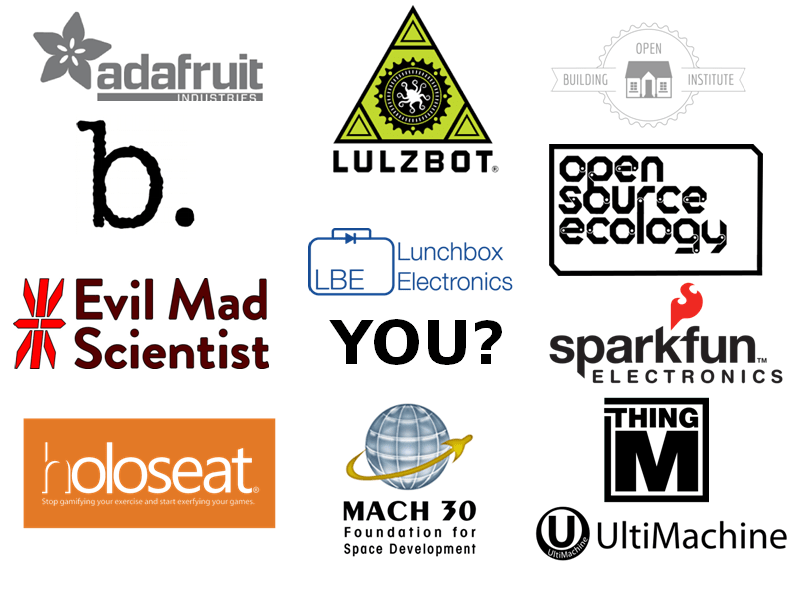 In 2009 I founded Mach 30 with a group of like minded individuals in order to develop open source spaceflight hardware. From the outset, I was on the lookout for others developing open source hardware of any kind so we could support each other under the belief that a rising tide helps all ships. 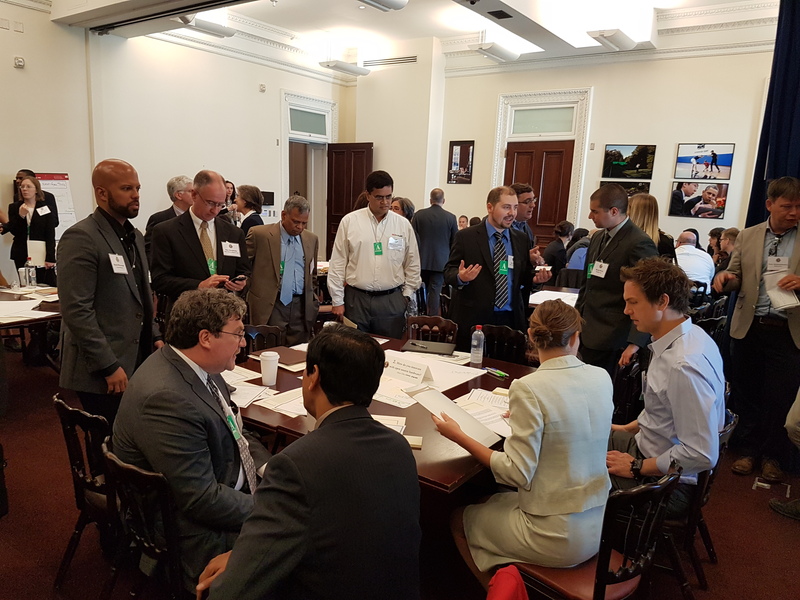 The moment I heard about the first Open Hardware Summit I made sure Mach 30 sent representatives so we could begin to connect with the larger OSHW community (we have been at every OHS since, except Rome). Later, when the OSHW movement’s leaders started work to form OSHWA, I shared Mach 30’s public documentation on our experience incorporating as a 501c3 public charity in the hopes that OSHWA could benefit from the lessons we learned when we incorporated. And, now, I feel it is time to make the next step in showing my support for the OSHW community by stepping up to becoming a member of the board of directors. I have been involved in non-profits for the majority of my life. I spent much of my school age years volunteering in community theaters, taking on roles on and off stage. I then went and got my undergraduate degree in technical theatre, which included courses in theatre (read non-profit) management. I applied all of these experiences to volunteer work in theatre until 2006. Since 2009, I have been the president of Mach 30 (mach30.org), a non-profit dedicated to developing open source spaceflight hardware. As the president of Mach 30, I have run well over 100 business meetings (documenting these meetings with the same care we document our OSHW projects), worked on projects ranging from distributed Yuri’s Night celebrations (https://www.youtube.com/watch?v=y4TLxWVTIgM) to the development of OSHW projects like a rocket test stand (https://opendesignengine.net/projects/shepard-ts), and presented about OSHW at multiple Open Hardware Summits. You will also find some of my writing about OSHW documentation practices in Alicia Gibb’s book “Building Open Source Hardware”. I want to work on communicating Open Hardware to non-engineers and work on cultural aspects of Open Hardware communities, such as we did in our recent Book “Openism – Conversations in Open Hardware”. I want to contribute with our institute (RIAT) which is located in Vienna, Austria. I can help to organise and communicate European issues and be a contact point for European initiatives. I am active in communicating Open Source Hardware and Open Source in general since more than 10 years. I am publishing books and articles about open culture and i am located in Europe, which would make me an ideal board member for European issues. I was the coordinator for the European Union project “AXIOM”, the first Open Hardware professional cinema camera and i am still very active in this project, so i know about the issues and challenges of Open Hardware design/development/distribution/fundraising, etc. To continue working on the OSHWA open source hardware certification. “Qualifies” may be a strong word, but I have been on the board for the last two years and OSHWA hasn’t caught on fire. I’ve also done some of the work on the new open source hardware certification. In the interest of full disclosure, I’ll probably keep doing that even if I’m not on the board. OSHWA 2016-2018 Board Nominations Open! OSHWA is looking for 5 new faces to join the board of directors for the Open Source Hardware Association. The nominee form is for self-nominations only. Please fill out the nominee form to become a nominee or forward the link to someone you want to nominate. Do not fill out the form for someone else. The purpose of this form is to tell voting members why you want to server on the OSHWA board. We will be publish the nominees and their answers on Oct. 14th. Board members hold a 2-year position. Once board members have been chosen by the community, the board will appoint a President, VP, and Secretary. Board responsibilities include fundraising, advising on goals and direction, and carry out compliance with the organizations purposes and bylaws. See the board member agreement to get a sense of the responsibilities. Board members are expected to adhere to the board attendance policy and come prepared having read the board packet. Board members are expected to spend 5-10 hours of time per month on OSHWA. Nominees can meet current board members who are present at the Summit on Oct. 7th to ask questions or submit questions to info@oshwa.org. Nominations will be open until Oct. 14th. Member voting will take place Oct. 16-18. Want to vote in the election? Become a member! Please note that only individuals can vote, corporate members cannot. October is Open Source Hardware Month. You are invited to participate in events that will add clarity to the open source hardware definition, grow contributions to the movement, and provide education around how to publish a project or product as open source hardware. The Open Hardware Summit is just a week away! OSHWA will be hosting our annual Open Hardware Summit in Portland, OR on October 7th. OSHWA is launching the Open Source Hardware Certification at the Summit. Tickets to the Summit are still available but going fast. See you in Portland! 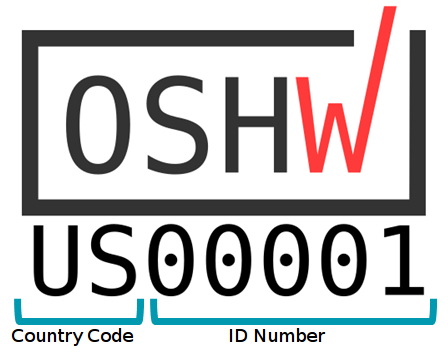 OSHWA will launch the first version of the open source hardware certification. This is an open source hardware certifications administered by OSHWA. This certification is designed to benefit at least two parts of the open source hardware community. First, it benefits purchasers of open source hardware by making it easy to identify truly open source hardware in the marketplace. Projects and products obtaining certification and displaying the certification logo clearly communicate a commonly agreed upon definition of openness with customers and users. While certification is not a condition for openness, obtaining certification is a way to make it clear to others that a given project is open source hardware. Throughout the month of October, OSHWA will be hosting several documentation days for anyone, individual or company to participate. Documentation Days will be free, community organized events to document your most recent open source hardware project following the OSHW definition and guidelines. This is the perfect time to document that project you just haven’t gotten around to open sourcing. Look on the events page for documentation days in your community throughout October. Or host your own Documentation Day! Follow us onTwitter or Facebook to stay tuned to the action. The Open Source Hardware Association is a 501(c)3 non-profit organization dedicated to being the voice of the open hardware community, ensuring that technological knowledge is accessible to everyone, and encouraging the collaborative development of technology that serves education, environmental sustainability, and human welfare. Become a member of OSHWA today! Board nominations and voting will happen soon, members get voting rights! Documentation Days – Host your own! 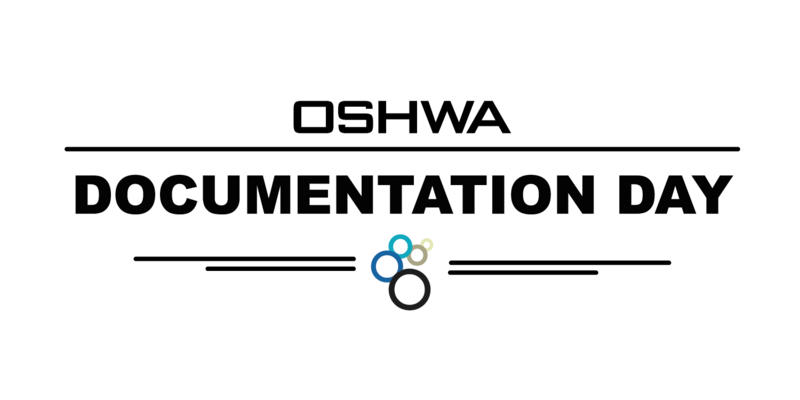 Throughout the month of October, OSHWA will be hosting several documentation days for anyone, individual or company, to participate. Documentation Days will be free, community organized events to document your most recent open source hardware project following the OSHW definition and guidelines. Look for documentation days from OSHWA’s board members and branches in their communities throughout October. Follow us on Twitter or Facebook to stay tuned and for dates and locations of our events and look for updates on our blog. October is Open Source Hardware Month. This is the perfect time to document that project you haven’t gotten around to documenting but want to make it open source. Documenting your hardware is the most important step in open sourcing your hardware because it gives other people a way to use, build upon, and possibly improve it. Your well-documented designs will live on and take various shapes as other people use them, create derivatives and share them. It is much easier to ask the community for help or find collaborators with well-documented hardware. Publishing your design files publicly can also establish your hardware as prior art. If someone attempts to patent something similar, that prior art can prove that the hardware existed before the patent application, thus preventing it from being granted. Finally, more open source hardware documentation will set an example for others to open source and document their hardware! This year’s Documentation Days will help standardize key elements of good open source hardware documentation. To bolster the community-written Open Source Hardware definition, OSHWA is launching the open source hardware certification in October as well. Take this opportunity to read about the certification and join the movement. Who can host a Documentation Day? Anyone can host a documentation day! OSHWA’s board members will be hosting documentation days in various locations, but we can’t be everywhere. It is unlikely that OSHWA will be able to help with costs of a documentation day, but below are some tips to keep it cheap. How do you set up a documentation day? Find a venue that has tables and chairs. Your local hackerspace may be a wonderfully aligned space to host a documentation day (and hopefully will not charge you a venue rate!). Public libraries may have free meeting rooms as well. Make sure the venue has lots of outlets for laptops – you may need to supply power strips. Work with the venue to solidify a date. Send the date, time, location, and other details of your event to info@oshwa.org and your event will appear on the OSHWA Events page. If you’d like some physical handouts, include your mailing address. Set up a way to RSVP (Email, Meetup, Eventbrite) if necessary. This is optional. You know your local area better than we do. Promote the event. The event must be a free, public event. Tweet @oshwassociation and we will retweet your event. Use hashtag #DocumentationDay. Thank people for coming, introduce your documentation day as part of OSHWA’s Documentation Day series. Show slides and materials given to you by OSHWA. Point people towards oshwa.org and certificate.oshwa.org with questions. After documenting hardware projects, ask people to use hashtag #iopensourced and #oshw and link to what they’ve documented. Document the documentation day! What worked? What didn’t? 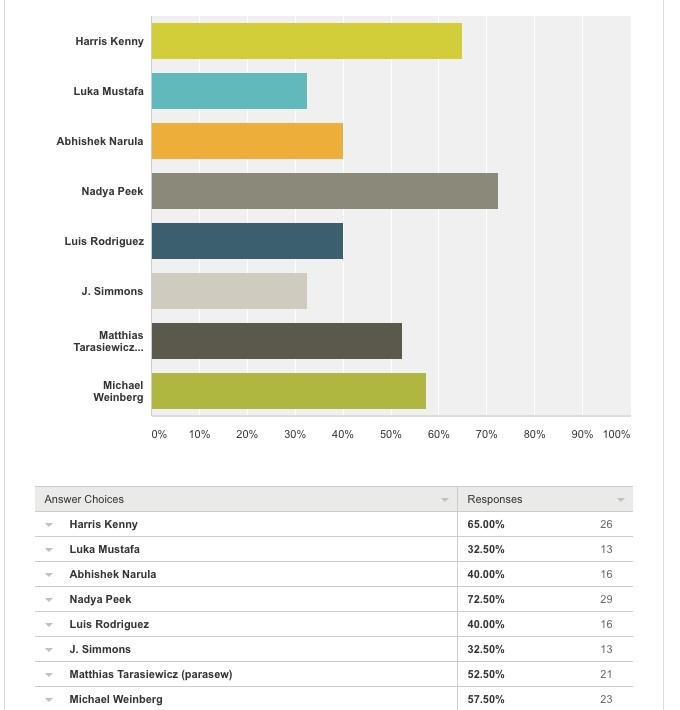 Did you and your participants develop any systems, processes, or templates that made creating documentation easier? Be sure to share them with the larger community. Don’t forget to clean up the venue at the end of your event.